Bring vision to your business with our stylish and executive journal books, ideal for corporate gifts and giveaways, exhibitions and conferences! Suitable for all industries and companies. 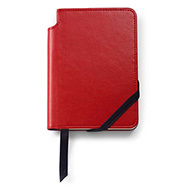 Branded journals are increasingly popular in workplaces, offices, education purposes or even at home for family schedules. You can be sure these will be put to good use, with our durable and high quality material, whilst promoting your brand everyday. 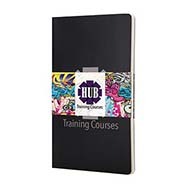 Our selection of printed journals vary from ones including pen loops, business document wallets, and business card holders to suit all your needs. Contact our expert sales team for advice on finding the perfect corporate journal book, notebook or diary! Call 01245382600 or email sales@allwag.co.uk.